The secured badge pin comes with an adhesive on the back which sits on a small, steel metal plate. The swivel pin has a secured, safety lock. 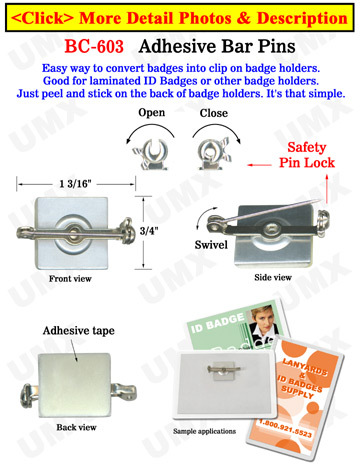 This adhesive pin can be easily applied to badge holders, name tags or ID cards.